Marquee Hire rates at Slaugham Place Gardens near Horsham West Sussex. Main frame and canvas with clear windows facing the ruins. Draped interior with ivory linings and swags. Matting under floor covered with anthracite carpet. 2 chandeliers on dimmer switches. 5ft round dining tables to sit 10 guests each. Gilt banqueting chairs with seat pads. 24ft x 24ft wooden dance floor with Star light roof lining and stage for your DJ/Band. Triple aspect, windowed "church style" bow shaped end. Catering tent connected to main marquee with provision of trestle tables for catering use. 20KVA generator with distribution board and cables. 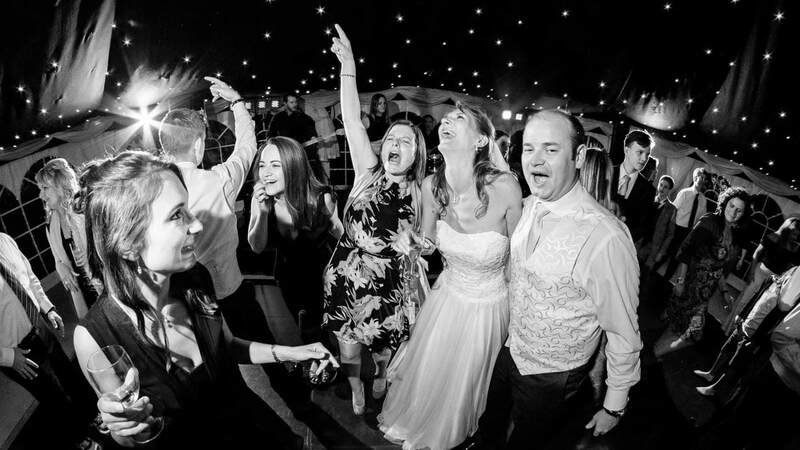 Our on site marquee will perfectly accommodate up to 150 guests seated on tables of 10, followed by evening dancing. By quotation. Please contact us. We will give you a luxurious canvas to add all your own touches to. We are not taking the fun away from you: bunting, lanterns, foliages, table decorations and flowers. These are all the exciting parts for you to add, which will turn this luxury shelter into your own. We just do the hard work for you.